Next June, the International Herpetological Symposium (IHS) will held at the Best Western Plus Belize Biltmore Plaza in Belize City. The mission of the IHS is to provide a forum for the dissemination of information and results of such research pertaining to the natural history, conservation biology, and captive management and propagation of amphibians and reptiles. Each year the IHS is held in a different location and is hosted by a Zoological, Herpetological, or Herpetocultural institution. BFREE staff are scheduled to give several presentations and to participate in the conference which will take place from June 19-22, 2019. 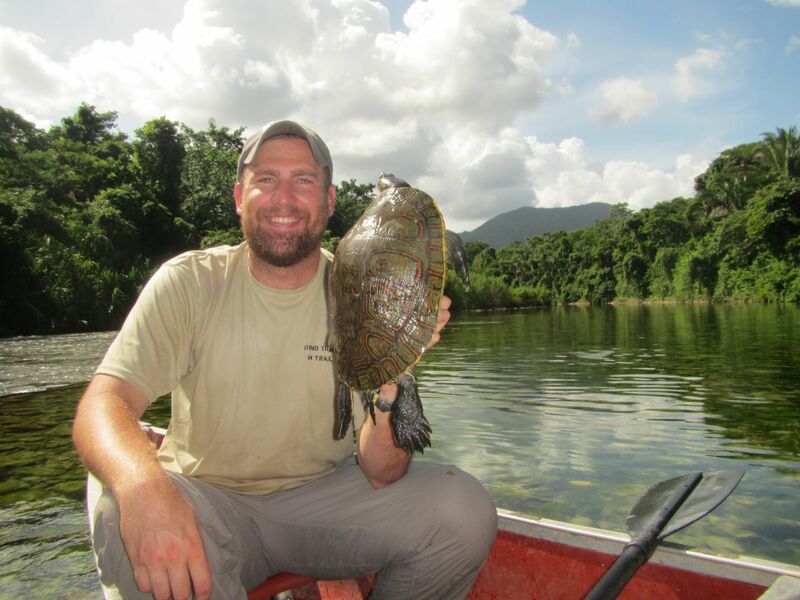 The International Herpetological Symposium in partnership with the Belize Zoo and the Crocodile Research Coalition are offering scholarships for young, Belizean wildlife enthusiasts to attend. The application can be found here. For attendees looking to explore more of Belize either before or after the Symposium, there are several opportunities. BFREE is offering a post-symposium volunteership to work alongside the critically endangered, Central American River Turtle at our Hicatee Conservation and Research Center. This immersive opportunity is from June 24 – June 28 (1-week) or June 24 – July 5 (2-weeks). Volunteers will assist in all aspects of animal care for the captive population of adult turtles, juveniles and hatchlings. Email, tsanville@bfreebz.org for more information. Prior to the workshop, there is an exciting wildlife-focused 8-day Field Trip which includes three nights at the BFREE Field Station. Activities will include an in-depth tour of the Hicatee Conservation & Research Center and lots of hikes (both day and night) to search for cool reptiles and amphibians!